​​Argix Logistics provides a comprehensive selection of worldwide packages transportation, distribution, and supply chain management services. In the fall of 2011, Argix was running a combination of SharePoint farms: a SharePoint 2007 farm that was surfacing data from inside of a SharePoint 2003 farm, which in turn contained millions of invoices in the form of scanned TIF images. 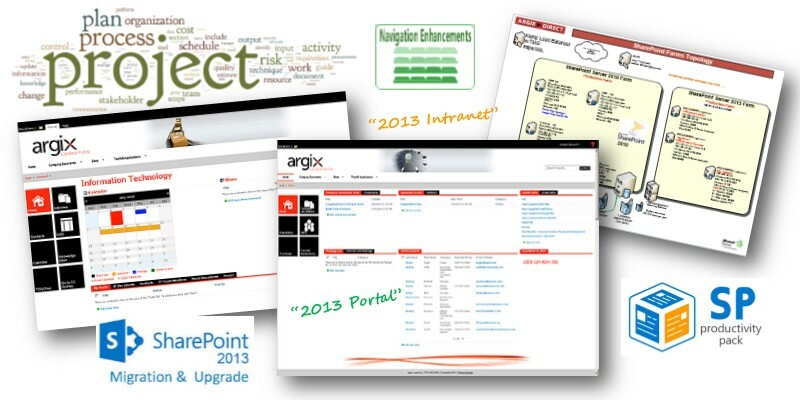 Argix had built a custom application for document search and display. The 2003 farm was connected to Kofax scanners which provided the document source input and meta tagging. We built a 2010 farm and migrated the 2007 farm to this level, and then pruned the 2003 databases prior to bringing them into 2010. Because of the size of the databases and the nature of the business enterprise running 24/7, scheduling service outages was a complicated process. In 2014 we built a new farm, based on SharePoint 2013, and through collaboration with Argix' application specialists, we successfully migrated the 2010 data. With this latest migration, we incorporated some of our portal software to enhance user adoption. These included our Knowledge Center with multimedia training, our Mega Menus that provide enhanced navigation, and an architectural plan for increased use of managed metadata. To ensure the success of their portal and farm a SharePoint Managed Services agreement was made to provide ongoing support.